Blessings to Steve Jobs on his transition, and for giving mankind such amazing tools for advancement during our lifetime. Let's hope humanity continues to use them in the positive way that they were intended. In 20 years it will be interesting to look back at our individual and collective choices, creativity, actions and behavior. What will we have done with what he left us? Let's hope it's something great! The photo above was taken in the Louvre; Paris, France September 14, 2011. The Apple Store juxtaposed against the inverted Pyramid in the basement of the building. A great work of art? 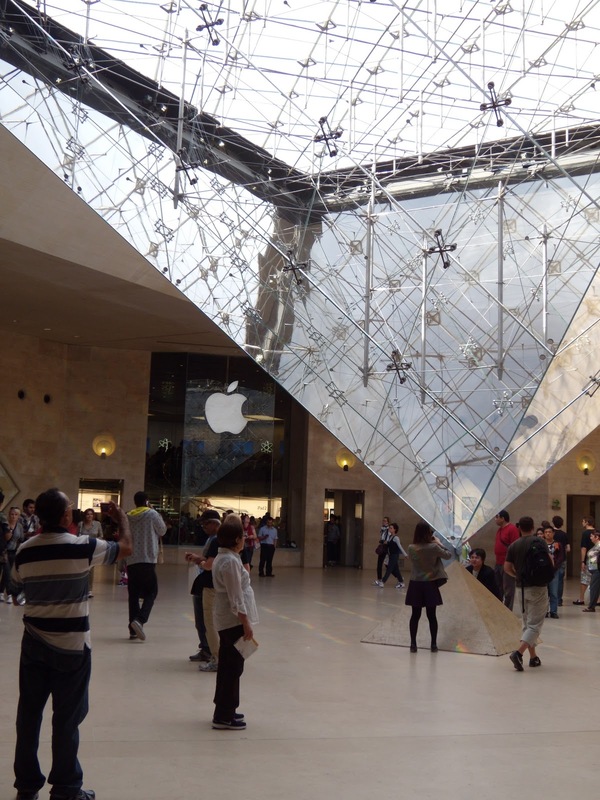 ...yes, Apple definitely belongs in the Louvre and Steve Jobs in the art history books. In the last 20 years jobs did a better world , rest in peace. I was always amazed at his stamina, too. Definitely reminds me of the read "Fantastic Voyage." Farewell, my brother.